Who Invented the Pascal Programming Language ? - Who Invented? / COMPUTING / Who Invented the Pascal Programming Language ? Niklaus Wirth – The Pascal programming language was developed by Niklaus Wirth in 1968 and first published for use in 1970. Pascal is a programming language that was designed in the late 1960’s. In 1970 it was published by Niklaus Wirth and uses structured programming techniques such as conditional and loop structures and the ability to define data types. 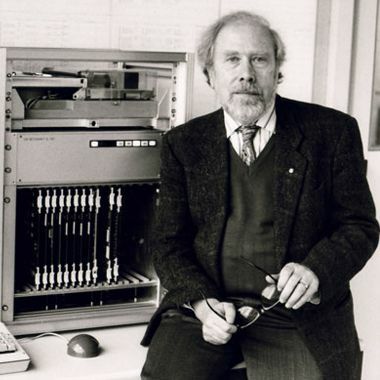 Niklaus Wirth based Pascal on the ALGOL 60 programming language which he had helped to develop. It was named after the great French Mathematician and Philosopher Blaise Pascal. The main features of the language included having built-in and user defined data types such as integer, character, boolean. It had defined data structures for example, sets, records, files and arrays and it forced structured programming through the use of sub-program functions and procedures. The language was designed specifically to teach students structured programming and was used mainly for that purpose in the 1970’s and 1980’s. Since then there have been many modifications and later variants such as Delphi (Object Pascal) which the Skype application was written in. Enbarcadero Delphi, another version of Object Pascal which is still used widely today to create Windows applications, but it’s biggest use is in providing an ability to compile the same code for use on Apple (IOS and Mac) and Android platforms. Another cross-platform version, in use today mainly for Linux users, allows for the code to be written once but to be compiled anywhere.